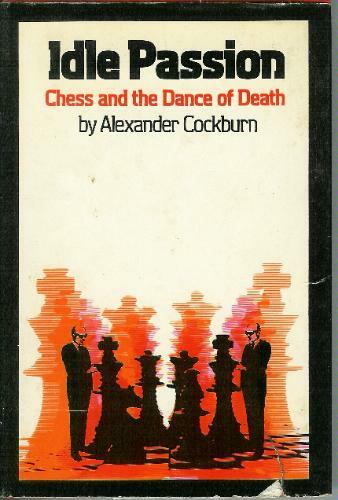 Last week not long after Jeff St. Clair received my article in “Chess as Metaphor”, he wrote me back informing me that Alexander Cockburn had written a book about chess in the 1970s. Since chess and Cockburn were two of my passions, I immediately ordered the book from Amazon.com and began reading it. The book is not about “how to win with the Ruy Lopez Opening” but about the politics and psychology of chess players, including some of the most famous like Bobby Fischer and Mikhail Botvinnik, the Russian champion who gets discussed in a chapter titled “Proletarian, Socialist Chess”. You can imagine how that chapter piqued my interest. As it turns out, there is a section in it that deals with geopolitics and chess, a subject I referred to briefly in my CounterPunch article. Cockburn has a somewhat different take on their relationship but we come pretty close to converging around his idea that “No game model, such as chess, can in the end tolerate the notion of total contradiction, since all games accept the idea of rules.” Like so many articles in this vein, Pepe Escobar referred to chess in his Oct. 1 article titled “Obama, Putin: Checkmate”. But if there is anything that Syria symbolizes, it is the contradictory nature of geopolitics—one in which Israel, the USA, Iran and Russia are working together to one degree or another to prop up the rotting cadaver of Baathism. Since the war in Syria was always supposed to be a proxy war with Israel and the USA playing black and Russia and Iran playing white, how do you explain this new axis of resistance with Netanyahu and Obama joining the axis of resistance? Maybe if chess was played with a much larger board and the pieces came in 50 shades of gray, the analogy would hold. “We play poker, they play chess” used to be the adage at one school for international relations in the United States. It was also, it seems, a favored phrase of President Kennedy. The thought behind the words was that the Communist enemy, in all his Oriental cunning, had a strategy thoroughly conceived and inherently rational: move would be countered by move; and uncertainty and chance eliminated. “We,” on the other hand, play poker “We” gamble and bluff. As we have seen, the emphasis on the enemy’s playing chess has a venerable ancestry in high and low art. But where the little maxim about chess and poker goes seriously wrong is in the supposition that “our side” is not interested in conceiving of war or diplomacy in chess terms. In ancient and in modern times the very opposite has been the case. We have seen that legend has chess being invented as a rehearsal or exemplar of war. There are innumerable examples of generals and statesmen expressing enthusiasm for chess, and their suggestion that their own trade is simply conducted on a larger board. In the popular imagination, mirroring such sentiments, international affairs are often conceived in terms of chess imagery. Hardly an issue of Punch magazine in the nineteenth century was complete without a cartoon of “the chessboard of Europe” simulating the play of policy and maneuver. The July 1972 issue of Foreign Affairs contained an attack by Stanley Hoffman on balance-of-power theories such as those proposed by Henry Kissinger. Hoffman’s purpose was to denounce the equilibrium model of five superstates (the United States, the Soviet Union, China, Japan and the European Economic Community). To use Raymond Aron’s terms, the balance of power is a model of “strategic diplomatic behaviour.” The essence of international relations is seen as a contest of states on a chessboard, on which the players try to maximise their power at each other’s expense, and on which the possibility of war makes military potential and might the chief criterion of power. This view still fits much of the “game of nations,” for it follows from the logic of a decentralised milieu, whatever the specific nature of the units or the social and economic systems which they embody. Hoffman goes on to assert that this model is invalid, since it underestimates the predominance of the United States and the Soviet Union in nuclear equipment. Thus, he concludes that the chessboard image is inappropriate to the analysis of international relations. It would be surprising if this abundant use of chess imagery had not found its enthusiasts in the military complex. And indeed it has. In the late eighteenth century the Duke of Brunswick was made head of the Prussian armies. He was viewed with great favor by Frederick the Great, who dispatched to him numerous young gentlemen to be instructed in military doctrine. The Duke instructed his master of pages, Herr Helwig, to produce a suitable and not too unpleasant mode of instruction. Helwig came up with the first modern war game. After the Second World War the United States took the lead. By the seventies over sixty organizations were interested in or engaged in war-gaming. In addition, STAG (United States Army Strategy and Tactics Analysis Group) estimates that of the more than two hundred organizations engaged in analysis in support of military decision-making, about one quarter of approximately three thousand projects per year utilize some war-gaming techniques. All war games must, in the last analysis, ascribe certain behavior patterns to the “enemy.” The war-gamer is in the position of having to define, within the limits of his knowledge, what he imagines the enemy’s intentions are. Even minimax calculations of a zero-sum games’ model imply some opinion of what the opposition might regard as minimum and maximum benefit. The chess model assumes this knowledge, and so do war games that follow in its path. Chess is, after all, a game played on a one-to-one basis, in the sight of both parties, with parity of intention and with equality of forces. Its operation is one of initiative and response and counterinitiative. Although one or other of the players may devise a strategy that is difficult to analyze, it is always assumed that the object will become clear, as the player nears his objective of mating his opponent, and as the opponent comprehends that plan. The players are, in short, playing the same game. Boorman goes on to discuss Chinese strategy, which “abounds in paradoxes when judged by the standards of conventional Western military doctrine—its use of fluid operational methods and yet its reliance upon relatively stable base areas; its emphasis on efficiency and yet its tolerance of protraction; its delight in complexity in contrast to the simplicity of Western warfare.” He suggests that Chinese strategy can in fact be best distinguished by reference to the game of wei-chi, and he proceeds at some length to do so. But Boorman makes a mistake in his efforts to show that Western analysts must think themselves into the strategies and tactics of Wei-chi to understand Chinese intentions and maneuvers. For Boorman, it is a question of counterposing Western to Eastern traditions, rather than bourgeois war to people’s war. As a matter of fact chess is in origin an Eastern game, and the guerrilla warfare he discusses has emerged in the West. Chess can provide a very inadequate model of relations between similarly organized hierarchical states but is completely inapplicable to revolutionary civil war. Wei-chi is probably only a little bit better in this respect, since it too tends to start from some equivalence of position, at least in the sense that the two players are at the same game, with the same rules. This is never true of revolutionary civil war. It is intriguing to speculate that 1972 was a year in which the major Communist powers, for their own reasons, were prepared to play the same game as Nixon, giving a strictly limited validity to Kissinger-type game theory. Now, chess may have some lessons for economic planning and conventional war and diplomacy—even though this is rare. But it has none for revolutionary struggle on the national and international plane, and this is where the Russian zealots for the game in the twenties made their mistake. Ultimately the antagonism and incomparability of United States imperialism on the one side and Russia and China as postrevolutionary states on the other will undermine any application of game theory to their relations with each other, just as the Vietnamese struggle invalidated it in Indochina. No game model, such as chess, can in the end tolerate the notion of total contradiction, since all games accept the idea of rules. The subversive force is not the cheat. He accepts the rules in so far as he distorts them, within their terms. The subversive is the person who refuses to accept the rules at all. You cannot cheat at chess, but you can refuse to play it. The ultimate foolishness, of such people as the war-game planners, is to expect that everyone will play by the same rules with the same intentions as themselves. The game of chess is not, as I have tried to stress in this book, part of normal social reality. Symbolic meanings are not amenable to exact transliteration.